Nice work, love the blue dominating curve. 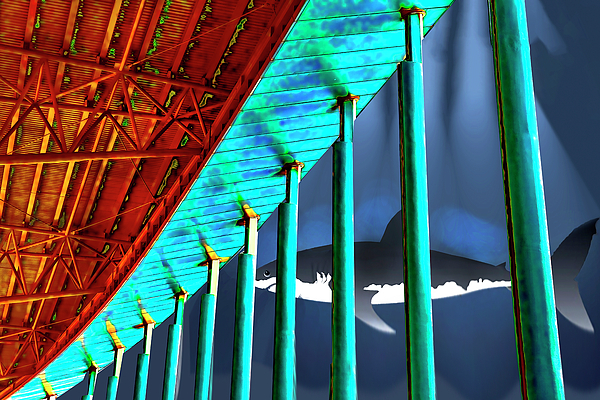 Surreal image of a world that does not exist. 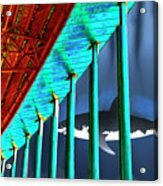 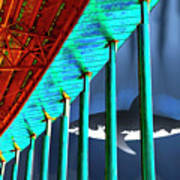 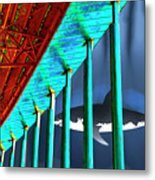 Beneath a glowing, radioactive bridge, a menacing shark lurks and swims on the other side of the bridge pilings that act as a protective shark cage for observers.